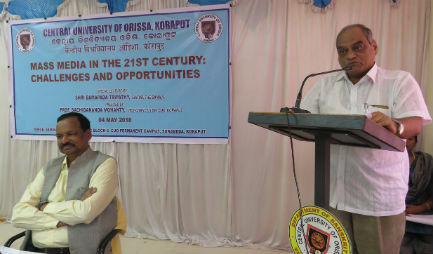 Koraput: Central University of Orissa organized Special Lecture on the topic ‘Mass Media in the 21st Century: Challenges and Opportunities’ at its Sunabeda campus today. Sh. Bamapada Tripathy, Editor The Smaja delivered the special lecture as Chief Guest on this occasion. 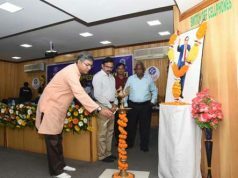 Prof. Sachidananda Mohanty, Hon’ble Vice-Chancellor presided over the programme and delivered the inaugural address. Sh. Mahesh Sharma, Life time member of Lok Sevak Mandal and Editor- On-line web portal of the Samaja, Sh. Samarendu Das-State Beura Chief, the Samaja, Sh. Rakesh Ku. Padhi- Edition-in-Charge, the Samaj Koraput Edition was present on this occasion. The programme was started with one minute condolence prayer on the death of Ms. Deepika Takri on 03.05.2018, Ms. Takri was a Ph.D. research scholar, RGN Fellow and the 1st UGC JRF from the Department of Anthropology. The entire University community and all the guest present express their deepest condolence to the family members of Ms. Takri. Prof. Mohanty in his inaugural address stress on the fake news, and credibility of Mass Media reporting. He talked about the importance of inter disciplinary studies as students from the literature can learn a lot from the field of Journalism and vice-versa. He said “Today we have to be multilingual and we have to learn various languages. Our University respects all languages. The aim of our University is not only to educate the young students but also to help them to be employable. Young students must learn various advanced skills to be employable in this highly competitive market”. He advised the students to learn more about the requirement of their concerned fields and prepare them accordingly to be employable. Sh. Tripathy in his special Lecture talked about various aspects of the Mass Media. He shared his vast experience with the students and highlighted crucial challenges and opportunities that Mass Media encountering today. He talked about the duties of the journalist, Ethics and values of journalism and objective of Mass Media. He said “the duty of a journalist is to serve the society. Journalist must have to stick to the ethics of journalism. Technology provides an opportunity for the print media but there is always a concerned of authenticity in this techno era. One of the biggest challenge for the journalist is to deal with the corporatization of the Media houses”. “Every literature students have a great opportunity to be a journalist. There has been an ample amount of opportunities for the Mass Media in this 21st Century. Problems create challenges and opportunities”. Sh. Tripathy added in his Special Lecture. Sh. Sharma said “for the young journalists there is only opportunities in the Mass Media in this 21st Century if takes his every assignment as a challenge”. Sushree. Mercy Mousmi Takri, compeered the programme. Dr. Phagunath Bhoi, PRO, gave the vote of thanks. 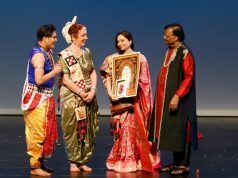 Students, Faculty and staff were present in at large on this occasion. 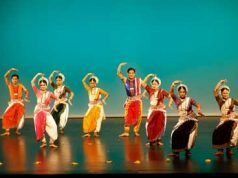 The programme was organized by the Public Relations section of the University.